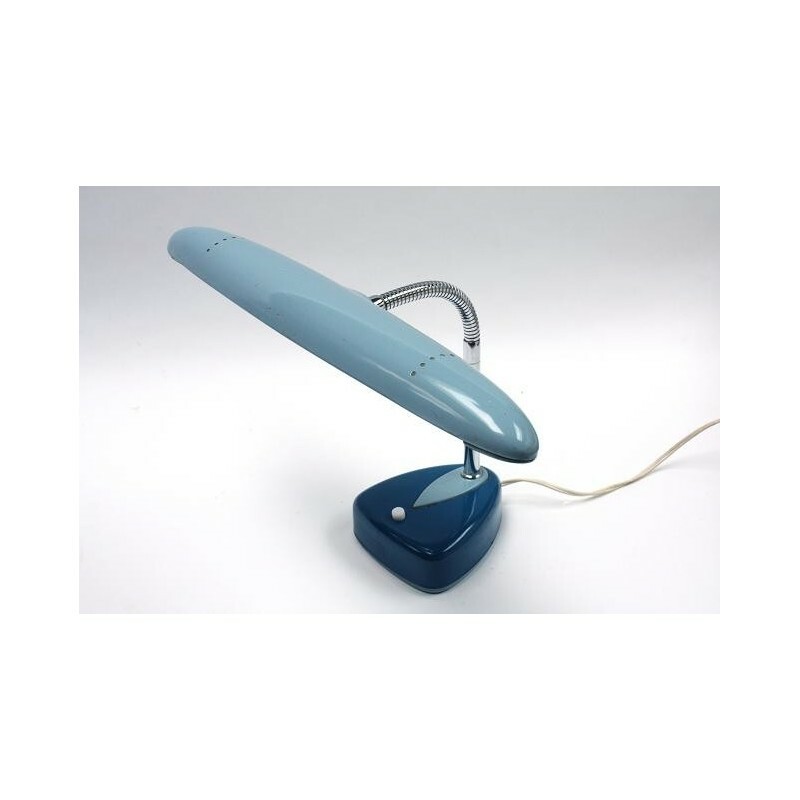 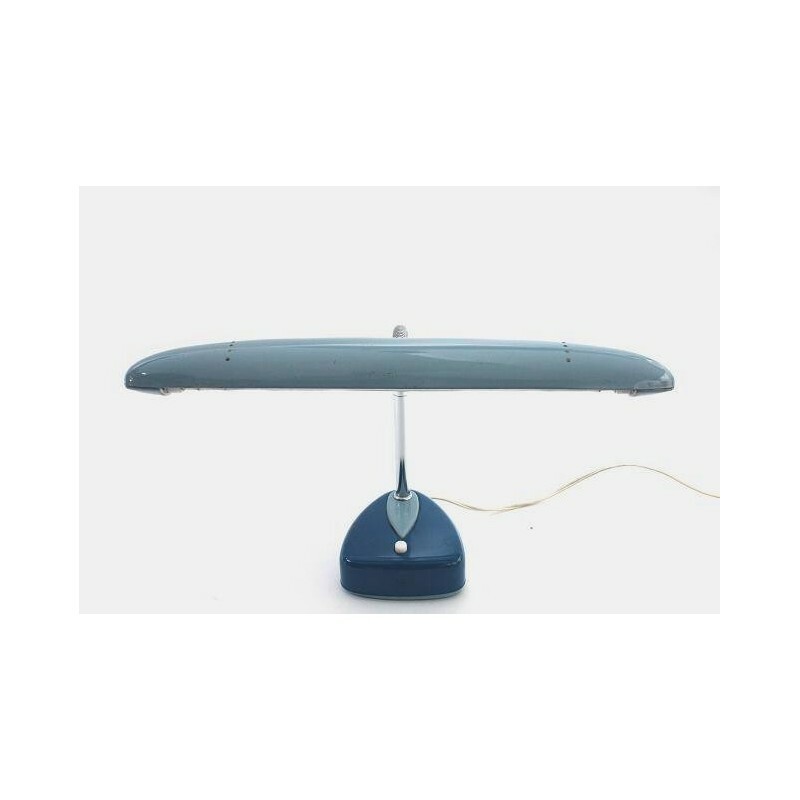 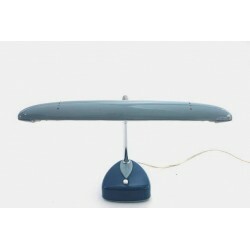 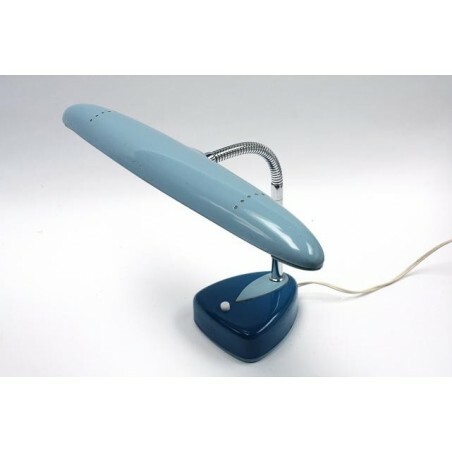 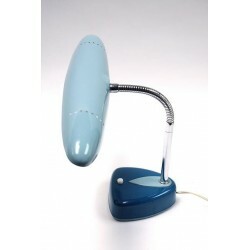 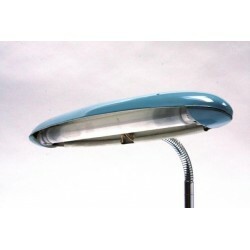 Vintage desklamp of the brand National manufactured by Matsushita electrics in Japan from the mid 1960's till the begin of the 1970's. 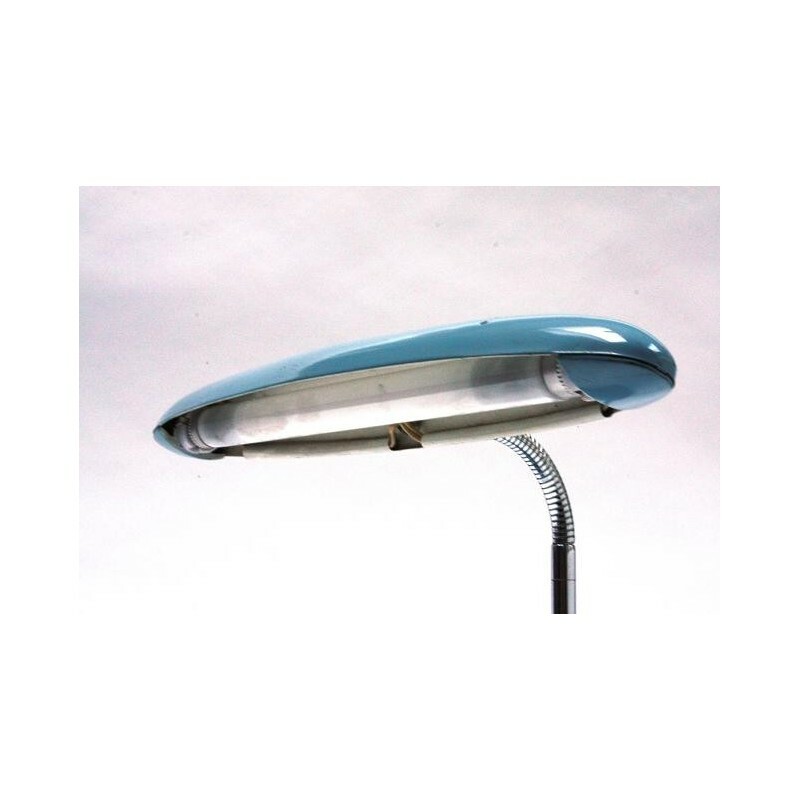 The lamp with fluorescent lighting, has a flexible tube, which you can direct the light easily. The lamp is in a good condition given it's age. 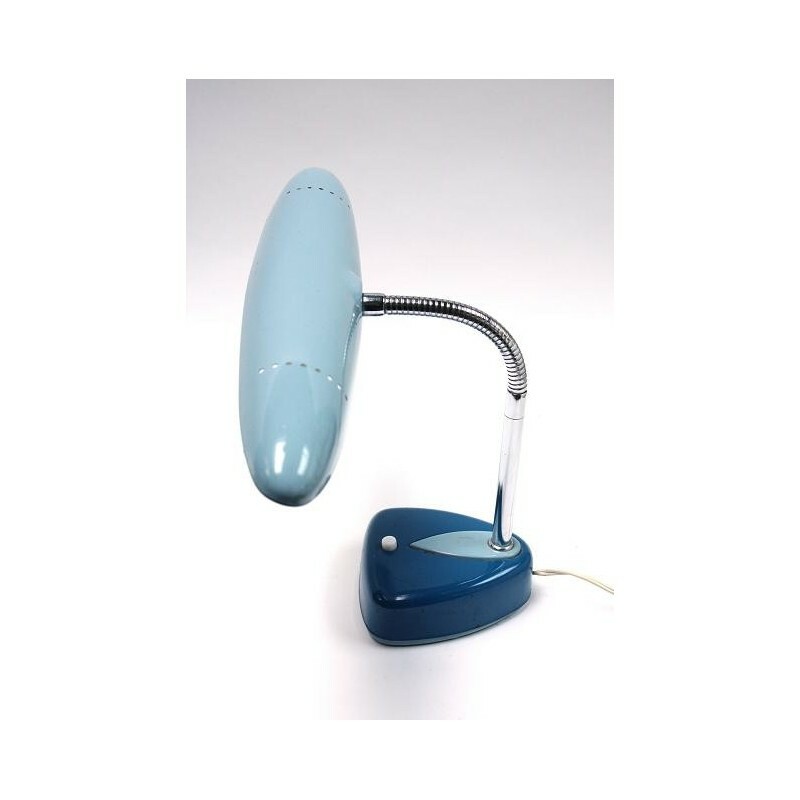 The dimension is 42,5 cm width and 30 cm high ( adjustable).